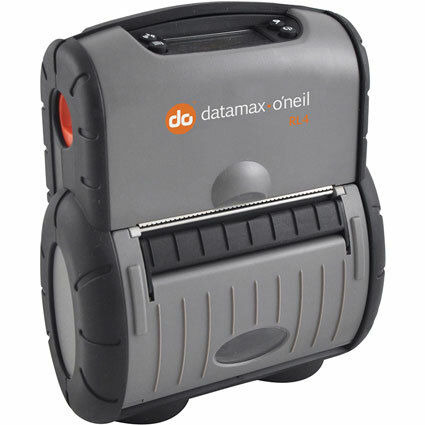 The Datamax-O´Neil RL4 mobile printer is one of the most durable and easy-to-use portable label printers on the market, ideal for on-demand printing in rough environments. The RL4 communicates via Serial, USB, Bluetooth, or 802.11a/b/g and prints 4-inch wide labels quickly and easily. The reinforced label roll door is so easy to operate, one handed roll replacement is a snap. And the top-mounted LCD display provides at-a-glance status updates. 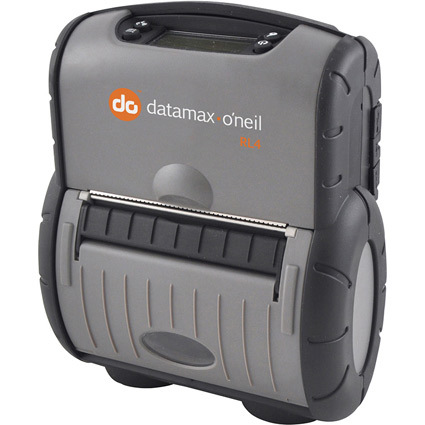 Datamax-O´Neil reinforced the RL4 to survive warehouse and industrial use with ease. The outer shell and isolated sub-structure protect the circuitry from drops of up to 6-feet to concrete, and the metal hinge and gear systems provide greater durability over competitors´ plastic components. 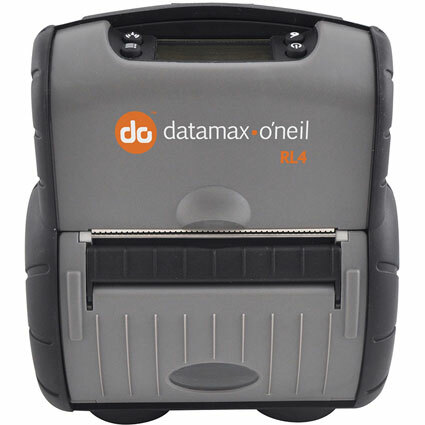 Datamax-O´Neil has tested the RL4 extensively, and offer an industry leading 2-year warranty, with an extended, comprehensive coverage plan available. • Effective Printing Width: 4.125"
• Dimension (WxDxH): 6.52" x 3.18" x 7.87"
• Label and liner width: 2" to 4.12"
• Thickness: 0.002" to 0.004"